to the escape hatch! : Batch o’ Hatch: The LAMB Shenanigans, French Toast Sunday, and October Awesomeness! Batch o’ Hatch: The LAMB Shenanigans, French Toast Sunday, and October Awesomeness! Happy October, hatchlings! If you’re anything like me, you’re happy right now, with thoughts of horror flicks, Oktoberfests, cooler weather, and seasonal beer flirting with your head. Here’s a quick Batch o’ Hatch to read while you’re sippin’ on that tasty pumpkin ale you like so much. Check out the latest episode of the LAMBcast, where I drop in to ramble about upcoming fall flicks and my love for Breaking Bad! 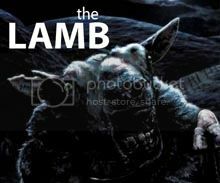 Also, the next installment of #LAMBWatch is this Sunday at 4:00 EST! Tune in to watch the cinematic mindfuck that is Upstream Color and tweet along. If you’re unfamiliar with #LAMBWatch, you can read about the last installment right here. Don’t forget, one random participant will win a prize! I’m stoked to announce that I’m now a contributing writer for French Toast Sunday! Keep an eye out for my first posts this month. We’ve got a ton of October awesomeness on the way! New installments of Unseen Halloween! New horror reviews! Horror scenes every Friday! It’s gonna be amazing! They are leaving it pretty late to call me about the Doctor part. I like Peter Capaldi, but this would have been awesome too. Tip to make everyday activities more exciting: listen to Bernard Hermann's score for NORTH BY NORTHWEST. He's right. Just try it. Here, try it right now. You can't argue with Jay, it's just not possible on this. Harry and the Hendersons is on. Suddenly nothing I had planned for tonight seems as important as this. Nothing is as important as Harry and the Hendersons, ever. If I can get that Evil Dead bikini made with some damn good support cups, it's a-mine. No context needed. Oh, you do need some? Here. With all this thunder & lightning I feel like I should be up in Mikey's attic looking at rejects from the history of Astoria. Everyone should have an attic like Mikey. I'm just an angry Lieutenant Dan on the inside. Let's get a kickstarter going for this. Would any of you do this??? It's never too soon. Happy October!! !